It was my birthday yesterday, as the title suggests I’m now the ripe old age of 26. To celebrate we went out for an (always awesome) curry at Kushi’s with Ian and Neil. Good food and good company. I’ve ditched my oh-so-2006 binary feed reader and switched to Google Reader. It’s pretty slick to use and has clever stats and features that just aren’t present in desktop application readers. I can also catch up on all my feeds in my lunch break at work or just generally when I’m not at my home PC. I was talking with my Mum last night and realised that we share one (among many) particular trait: not finishing things. In my free time I’m great at starting projects but not so good at actually finishing them. So, with that in mind I’m listing all of my half finished projects here in a hope of shaming myself into maybe finishing them off some day. Take the route (list of street names) from the Lothian Buses timetable and dump them into the Google Maps route finder. Inelegantly scape the results to extract the GPolygon munge. Then stick all the paths together to get the final route. 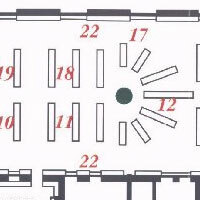 Shown left is the (rough) route of the number 22. The bus I used to have to take to work when I lived out in the “boonies”. I’ve started a WordPress plugin to allow easy access to the Amazon e-commerce API. Mainly to facilitate extracting product information. So you can say stuff like “I’m currently reading –AMAZONASIN–” and my plugin will fetch all the necessary information like title, author, image etc. The API isn’t super-fast so I’m currently at the stage of working out a schema to cache all the necessary information. The different types of products all have a different subset of attribute fields, so I’m trying to work out a flexible solution. I’ve also worked on some image processing trickery to allow for the oh so trendy apple-style “book at angle with reflection” image (as seen left). It’s a bit jaggy at the minute, I need to find out how to do blurring with GD in PHP. I’ve even got a Google Code page for this project which handily has SVN access. I know there are a few plugins out there that do this already but they either aren’t flexible enough or just look too amateurish for my liking. I started doing an interface to the Flickr group I set up. The basics are there but it could do with some more pizazz. 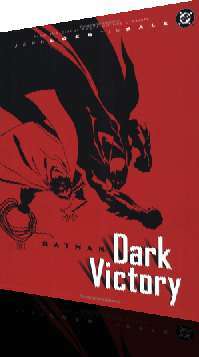 Over at /books/ I like to keep track of what I’ve been reading. I’ve managed to keep this up for almost two years but should really get around to doing something more exciting with the design. Actual book data is what inspired my WordPress plugin above. So, when that is finished the page should be awash with tags, photos, reviews etc. In my mission to get fitter I went for a run this morning. I had my (gleaming bright white) trainers on, trackies and a fleece. Plus my rookie style woolly hat. It started totally chucking it down when I was half way across the meadows and so I was battling along through the elements. Man, did that shower feel good when I got back in out of the wind and rain. 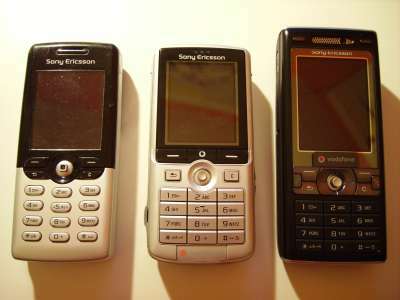 Left to right: T610, K750 & K800. Screens are getting bigger (and higher resolution) and keypads are getting more cluttered. The ‘start’ and ‘end’ call buttons on the K800 are pretty tiny, squeezed in at the side like that. The K800 seems a bit more ‘bling’ than the others and more nokia-ish. Other nice improvements are more tactile keys, a better camera, a real flash, autofocus, image stabilisation, an RSS reader and a blogging tool! The latter seems to only support blogger, which is a shame. We’ll see how this new phone lasts. The ioquake3 project aims to build on id software’s release of the Quake 3 source code. Tremulous uses ioquake as it’s engine and the project will hopefully allow for many more games that are stand-alone and use a decent engine. My parents were in Alnwick for the weekend seeing Jools Holland at Alnwick Castle. I got the train down to see them yesterday, Alnmouth station is only an hour on the train from Edinburgh. You can’t go to Alnwick without going to the awesome Barter Books, one of the largest second hand bookshops in Britain. The place is huge! 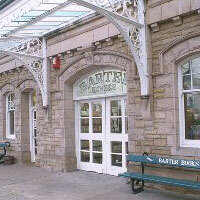 It’s based in Alnwick’s very grand Victorian railway station and has gazillions of second hand books on a myriad of subjects. All pretty reasonably priced, unlike some places in Edinburgh where you can often get the same book new on amazon for a quid more. They’ve also got cases of old first editions and antique stuff, all very nicely presented. Plus a large reading room with newspapers, seats everywhere and very cheap coffee and cakes that you pay for on an honesty basis. It’s a book geeks dream. We could easily have spent the whole day there but we managed to drag ourselves away after an hour and a bit. We had lunch in the courtyard at The Art House which did nice food but the service was a little slow. After lunch we wandered into the town square where the Alnwick International Music Festival was happening and wandered among the trinket stalls listening to Mexican dancing and Lithuanian harp playing. A good day out with some cracking weather.